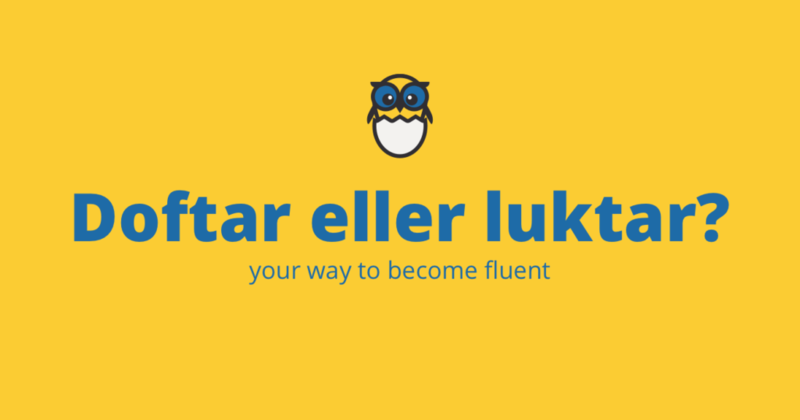 Today we are going to take a look at the usage of two words in Swedish — doftar and luktar. If you want to say that something (or someone) smells good in Swedish it could be a little bit tricky. There are basically two words that one uses when talking about something that smells. Att lukta is more general and can be used in both situations — when something smells good and when something smells bad. Det luktar gott. — It smells good. Det luktar illa.— It smells bad. One can use this verb in a neutral sentence as well. Lukta på det.— Smell it. And what can we use when something smells really badly? Det här stället stinker! — This place stinks! Att dofta is a verb that can also be used in situations when talking about something that smells. The only difference is that we cannot use it in a negative way. We use att dofta only when we are speaking about something that smells good. Vad det doftar härligt! — What a delightful scent! This is all for today’s lesson and now we know what the difference between att dofta and att lukta is. Write down your sentence with these two words in the comment section so we can have some fun.